A part of the Government’s High Value Manufacturing Catapult, CPI is home to existing anaerobic digestion development facilities and is ideally placed to co-ordinate, direct and deliver another successful project. Feasibility studies confirm the market demand and acceptance of anaerobic digestion (AD) technology. The potential of this technology has only been within reach of large, profitable organisations, but a new project aimed at bringing cutting-edge anaerobic digestion technologies to rural and smaller scale businesses is being launched to combat this. The Small Scale Anaerobic Digestion Technology (SSAD-TECH) platform provides underpinning process technology for the development of a series of commercial products for the local treatment of organic waste to produce energy (either as biogas, heat or electricity) and digestate, which can be considered as a non-fossil fuel derived fertiliser. A five-strong consortium behind the project is led by The Centre for Process Innovation (CPI) and comprises CNG Services Ltd, Lyvennet Renewable Energy, Wardell Armstrong LLP and Field Science Limited. With grant funding from the Government-backed Technology Strategy Board, the project works with a total budget of £880,000 and will run over two years. The small scale anaerobic digestion system will be designed to generate income and power for farms and food manufacturers, and also resolve the issue of biomass waste disposal. The project’s aim is to reduce capital costs of a small anaerobic digestion plant, while delivering a process capable of accepting biomass feed streams, saving significant land fill tariffs and generating power, and/or revenue from the sale of power, for the end user. Studies have highlighted that there is an unmet market need for commercially viable anaerobic digestion plants at the 250 kWe scale and below. The SSAD-TECH project will address these needs by looking at how various feedstocks behave in anaerobic digestion reactors. The aim is to accelerate the development of new technologies. Preserving the by-products of this process (digestate) for use in other areas, such as bio-fertilizers etc. Next generation digester technology, optimized for digester stability and performance efficiency. 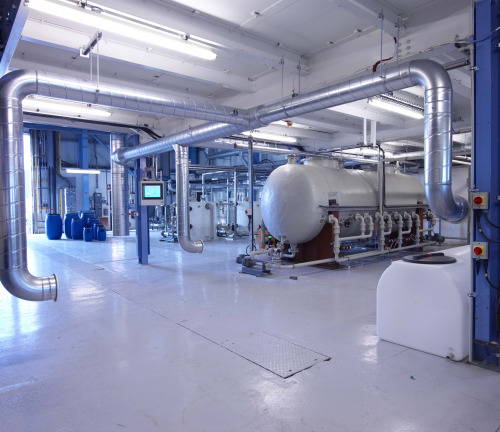 The Centre for Process Innovation (CPI) is a UK based technology innovation centre and part of the government’s High Value Manufacturing Catapult. CPI offers market and technology expertise along with cutting-edge development assets to help its public and private sector clients build and prototype the next generation of products, processes and services quickly and efficiently, and with minimal risk. Yes. Small scale anaerobic digestion has great potential. There are other ways of producing Biogas with Water Hyacinth as input besides Sisal Agave. These are wild growth plants. One can add major portions of these plants along with Animal Dung to produce methane. For example in Kolleru Lake,Andhra Pradesh,India water hyacinth is available for 10 months in 200 Square Kilometers area. In Mexico there is lot of activity in the production of Biofuel from Sisal Agave. Sisal Agave can be grown in huge areas of vacant lands in developing countries.